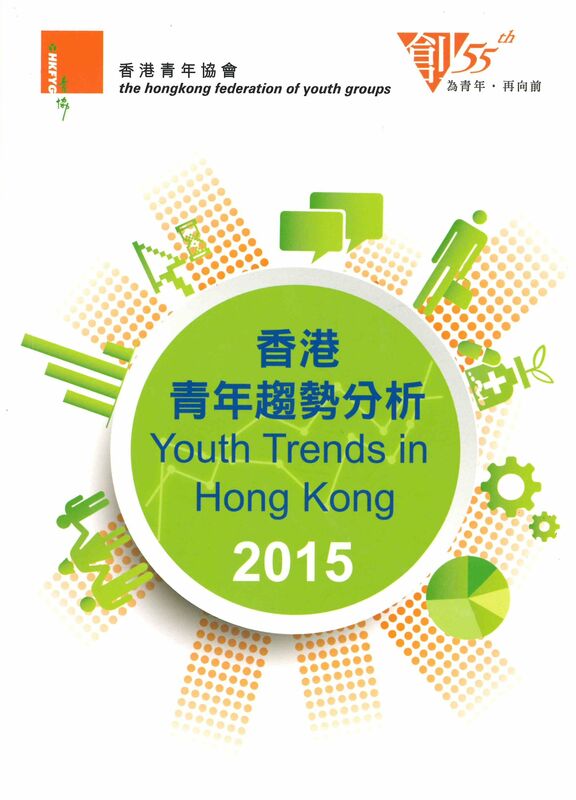 Youth Trends in Hong Kong 2015 is a compilation of statistical data from various sources and a survey by the Youth Research Centre of the HKFYG. There are five main chapters in the book. They are “Introduction of the main findings about youth”, “Youth research and data analysis”, “Indicators of Youth Values”, “International Youth Comparison” and “Conclusion and Suggestion”. There are two main survey reports included in Trends 2015. For “Indicators of Youth Values” (Chapter 3), it is the twelfth in a series that has been published by the HKFYG Youth Research Centre since 1997. Statistical data including the comparison throughout the years and thus the changes trends of youth values in various years has been presented. For “International Youth Comparison” (Chapter 4), the questionnaire from Japan Government has been used as reference for the survey conducted among aged 13-29 youth in Hong Kong. The result has been made comparison with 7 other countries, namely Japan, South Korea, United States, United Kingdom, Germany, France and Sweden, so as to study the characteristics of young people from different places. Overall, the statistics and figures covered in the book present a general picture on various topics related to young people nowadays. Analysis and recommendations are put forward for reference.